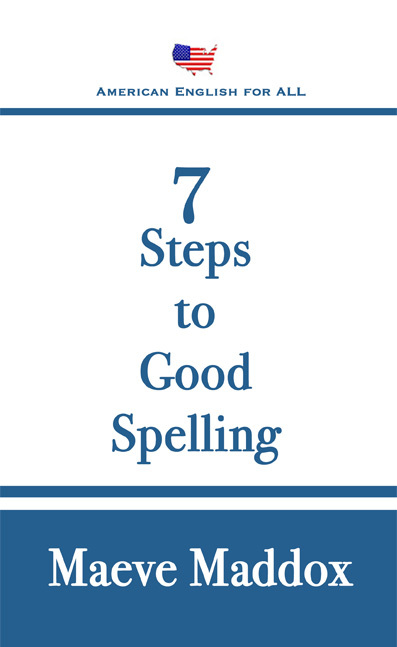 Avoid the most common errors of English grammar and usage that cause grief to bloggers. This handy style guide by nationally known language blogger Maeve Maddox will save you time and embarrassment. Simple entries identify usage as “right” or “wrong” without lengthy explanations. Available at Amazon in both Kindle and print editions. • A must read for those who are inspired to write, but feel they don’t have the education. • Perhaps it has been many years since you have been in school, and you need a refresher course on things to avoid before submitting your work to a publisher. This small, easy to use book is the perfect size for your purse or totebag. If you dream of writing, go ahead buy the book. Write right. You will be glad you did. • Maeve Maddox makes writing seem straightforward. • English is English, sure. But Maeve’s thoroughness and clarity in writing style helps you see the subtle mistakes that prevent you from getting your idea across—or risk the reader hearing something you aren’t really saying. That’s the aforementioned “wisdom”: Maeve homes right in on the mistakes that are so common, we don’t even see them any more.